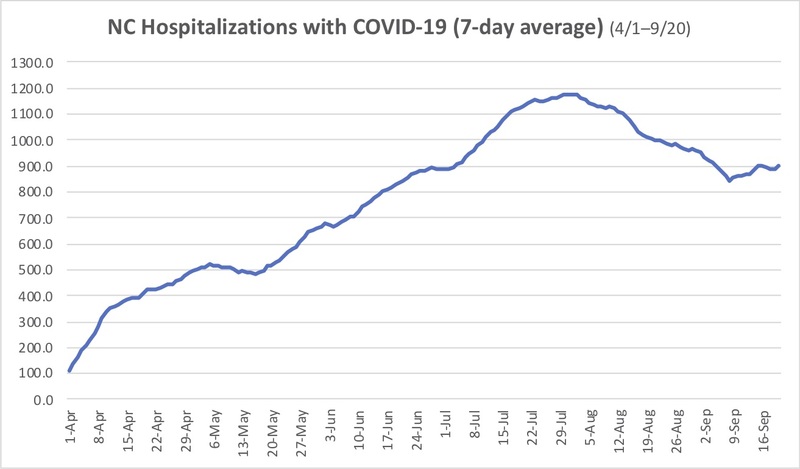 Healthcare has been the most important issue for many voters in the last couple election cycles as everyone is dealing with the effects of our inflated healthcare costs. However, what exactly do Americans want? They know they pay too much for healthcare. They know the government controls much of the healthcare sector. But what exactly would American’s support as far as a new system? Many on the left are saying that the only way to fix our healthcare system is to go all in after Obamacare and move to a government run, single-payer system. However, support breaks down heavily when Americans are presented with costs and tradeoffs of healthcare reform proposals. Here in North Carolina, Medicaid Expansion support falls substantially when costs are introduced onto the question. Health insurance mandates that ensure coverage for those with pre-existing conditions similarly breaks down when you explain the coverage costs. 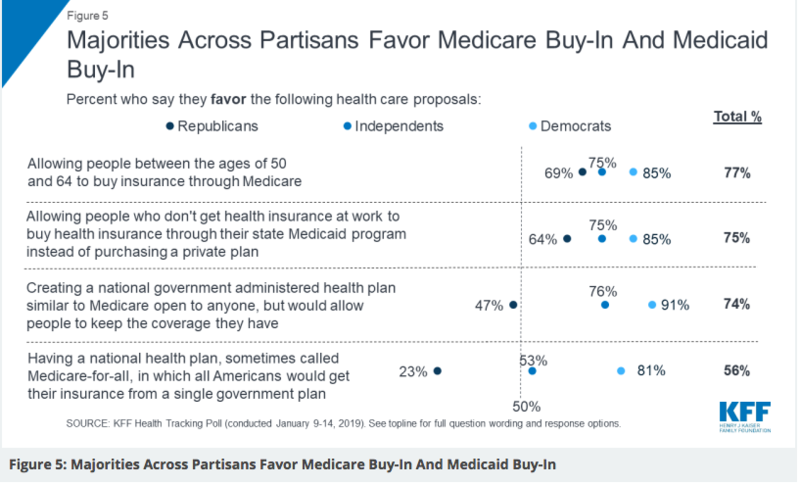 The Kaiser Family Foundation just released polling data that replicates the sentiment that other polls have shown: American’s like the general promise of what a government payer system would do, however, when you get specific on the actual consequences of the proposals, American’s support falls. Sure, 56 percent of Americans support a national health plan. 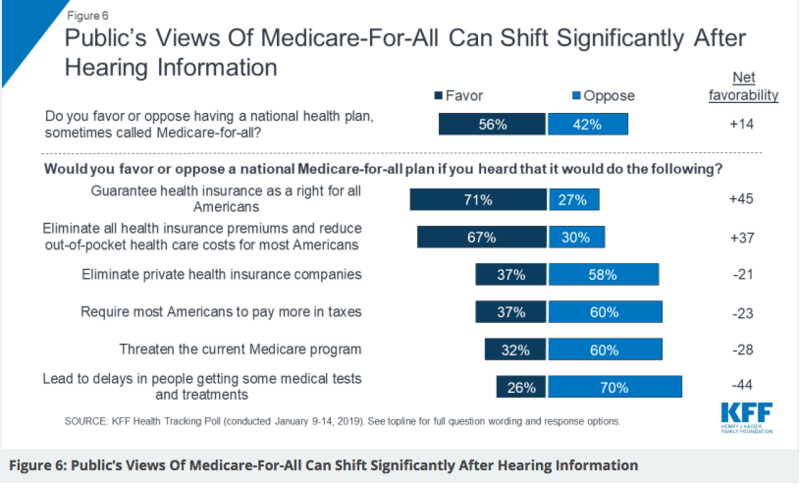 This is the number that many on the left point to and say “a majority of Americans want a single-payer system.” However, what about when respondents are told people that this plan would eliminate private insurance? Only 37 percent approve. When respondents are told that most Americans would be required to pay more taxes? Same number, 37 percent approval. Make changes to the current Medicare proposal? Only 32 percent approve. Inevitable delays in people getting some medical tests and treatments? Only 26 percent approve. This echoes exactly what I argued in my last research brief about the importance of lawmakers being truthful and exhaustive in explaining their reform plans with the American public. Americans know they want changes to their healthcare system. Supporters of “Medicare for All” are quick to say that this is the only system that will work. However, they are hesitant in explaining and laying out the true costs and tradeoffs that Americans will face with another unprecedented takeover of the American healthcare system, just like was the case with Obamacare.